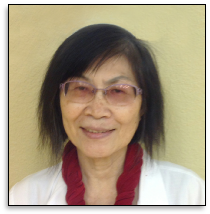 Dr Lee is Boarded Certified Chinese Herbalist and Licensed Acupuncture Physician ( FL & CA) . She has obtained the master degree in Chinese Medicine and Acupuncture. Being a second generation of a Traditional Chinese Medicine family from Taiwan, Dr Lee has been practicing Shao Lin Qi-Gong for over 30 years. She is a true asset to ARC Acupuncture and Physical Therapy She was also the Tui-Na instructor at Five Branches University in San Jose, CA. She has additional training in treating smoking cessation, pain management, cancer supportive care, stress with mood management, and post stroke care, etc.